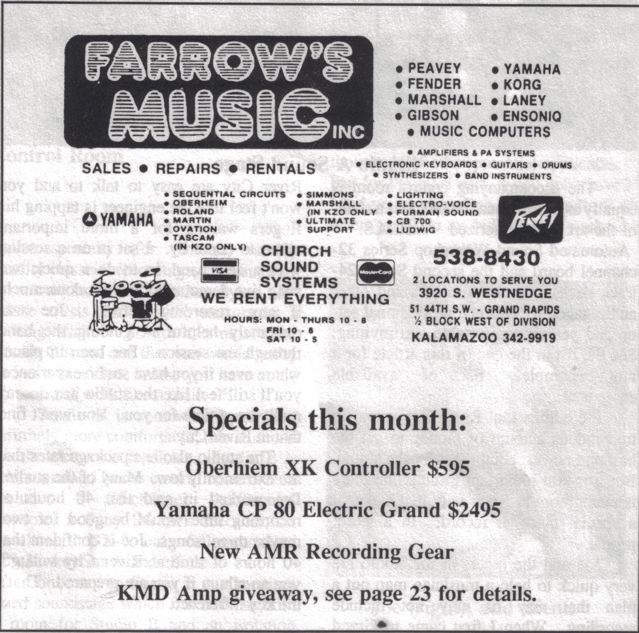 3 Responses to Farrow’s Music Inc. I was on the road touring during that time. I think I might have gone in their once when I was in town though. My parents bought my first set of Slingerland Drums from Bill Farrow Sr. way back in the early 50’s. My father used to take me there. You were located on Division Street, south of 28th. I was a little guy back in those days (probably 10 or so). Bill used to show me off to many a musician(s) which undoubtedly lent to working in clubs all throughout my early years. I looked very young and my parents had to give people I played with a permission slip to present if I was every questioned. The adults would pick me up and drive me to and from the gigs because I didn’t have a license yet. WOW, what a time! Remember Farrows had a store on Columbia Ave. in Battle Creek in the late 1980’s as well.